Manors of Claireville - Maziar Moini Broker Home Leader Realty Inc. 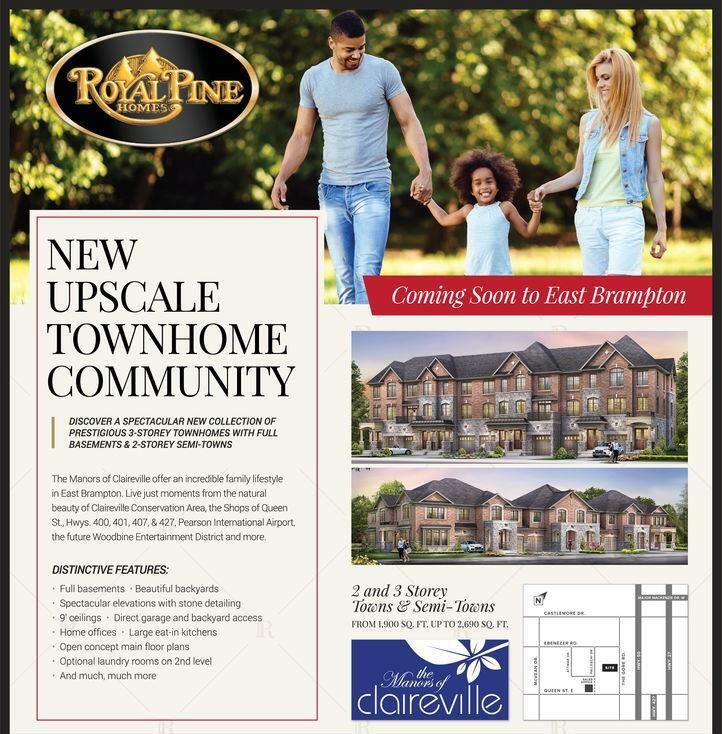 The Manors of Claireville is a new townhouse development by Royal Pine Homes currently in preconstruction at Queen Street East, Brampton. The Manors of Claireville has a total of 51 units. Sizes range from 1900 to 2300 square feet. At Royal Pine Homes, we strive to ensure that every community we create is the best possible. That’s why we’ve been working hard to expand upon our existing plans for The Manors of Claireville to create an even better luxury townhome community. In the coming months, we’ll be releasing exciting information about the all new Manors of Claireville. Short drive to Highway 407 and Highway 410. Close access to shopping, dining and entertainment. Minutes from Pearson International Airport.